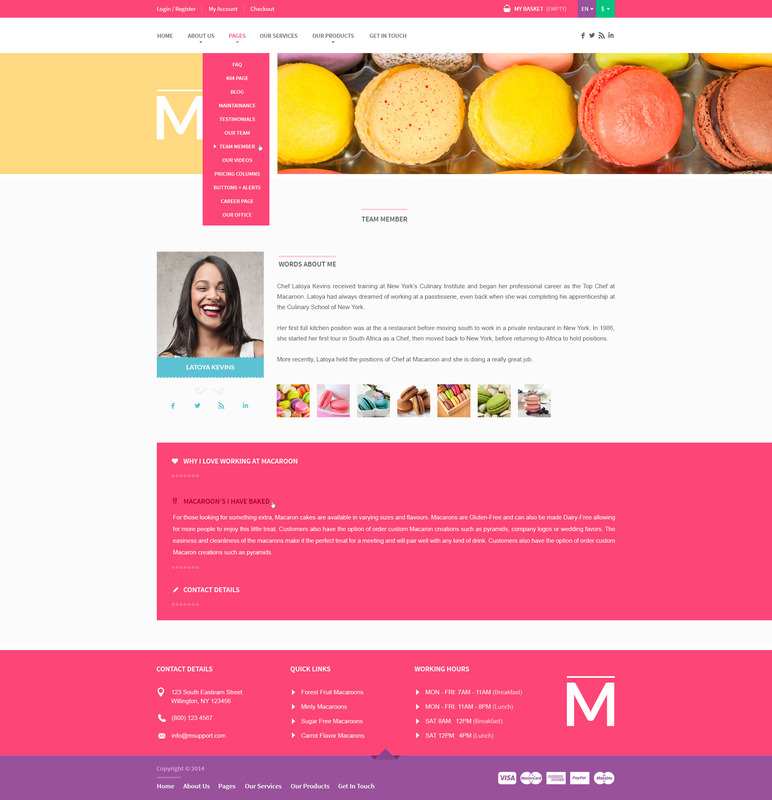 Cookies are made of sugar & code! 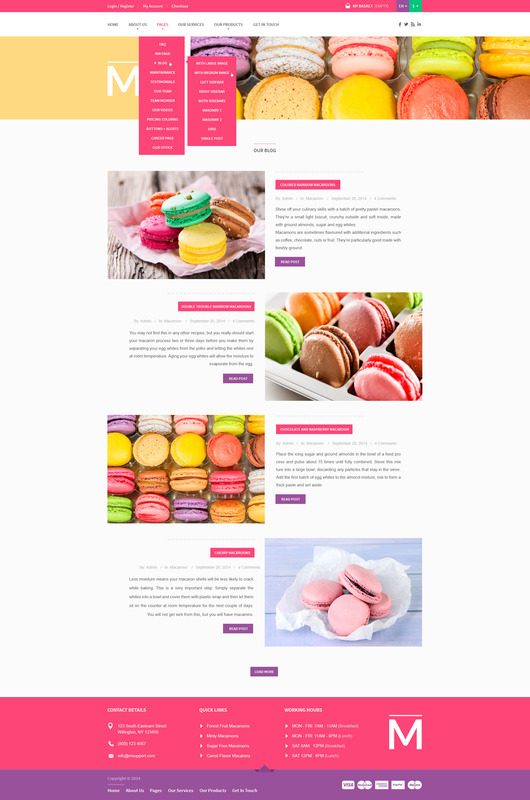 Our Extra Plugins Come For Free! 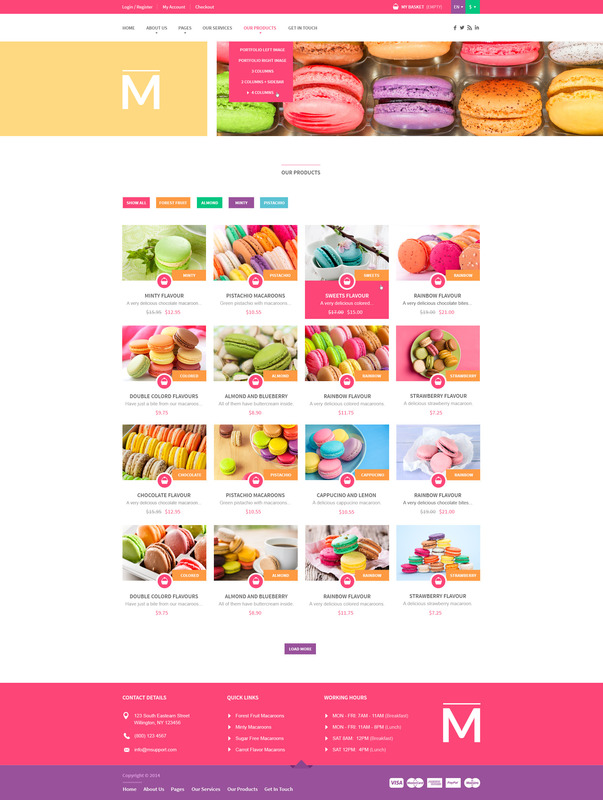 Macaroon Sweet Shop supports UberMenu – a user-friendly, highly customizable & responsive Mega Menu WordPress plugin. 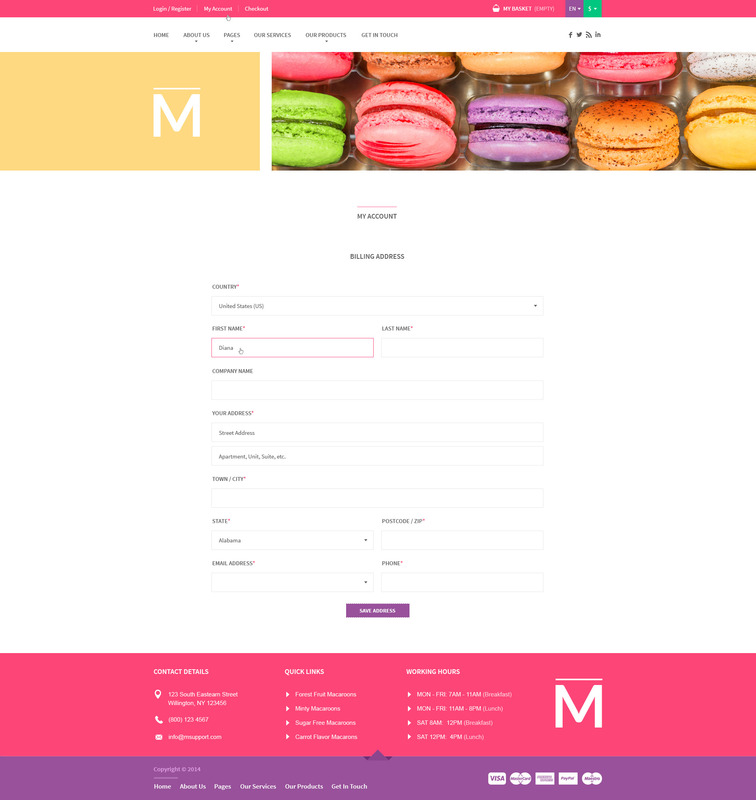 Now you can design with pre-designed skins and over 50 configurable settings. 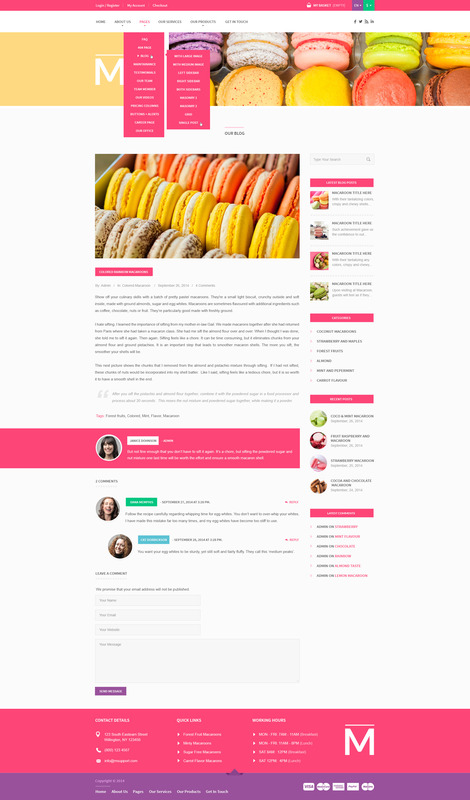 Ken burns section add a nice touch to your site and visually beautify the appearance of any section. 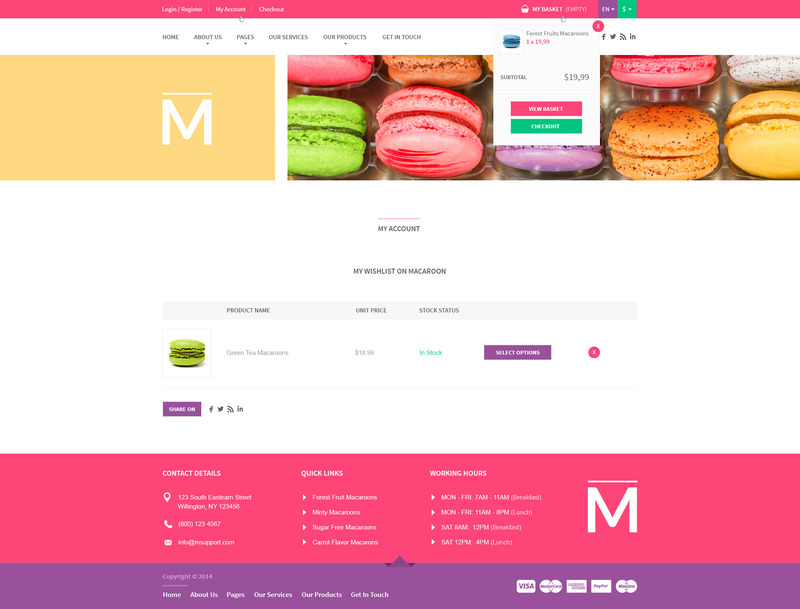 Macaroon Sweet Shop comes with video support feature that enables you to incorporate multimedia/video files within your site. 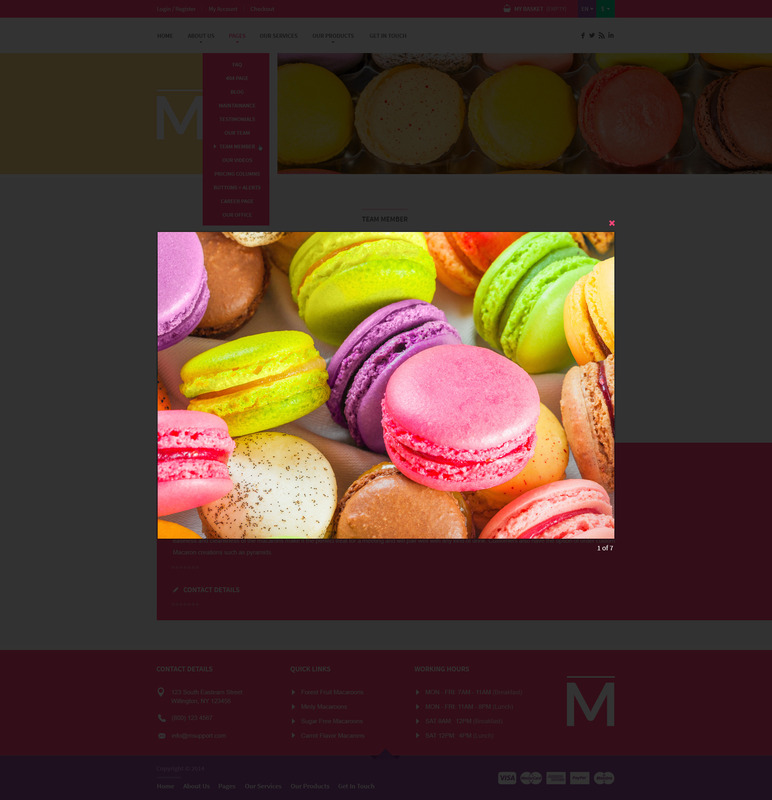 Flex, video, full-width, parallax, ken-burns… to simplify we have equipped Macaroon Sweet Shop in all sliders so that you do not have to feel limited. 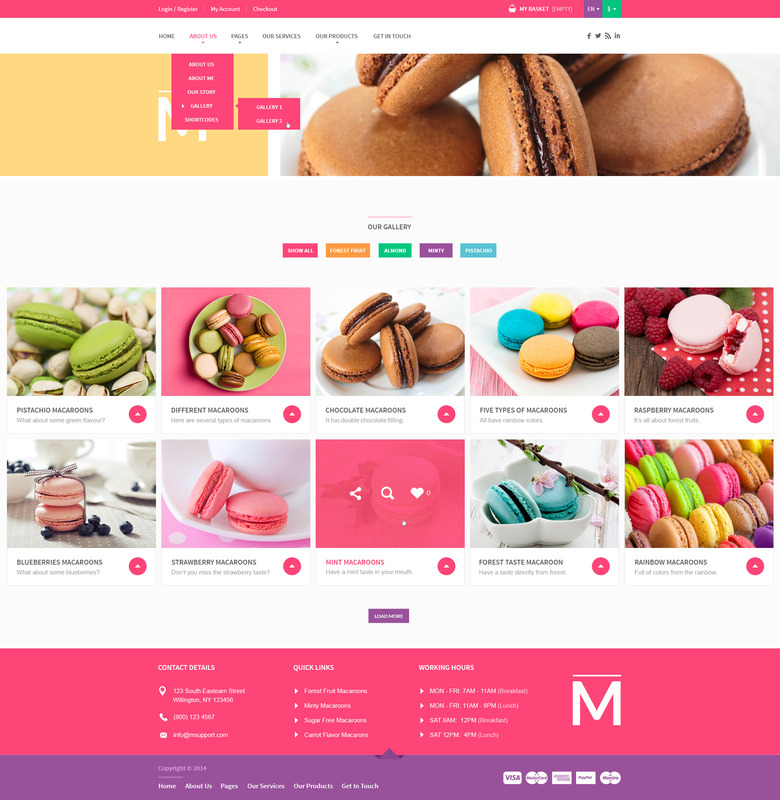 It is most likely the last theme you will ever buy! 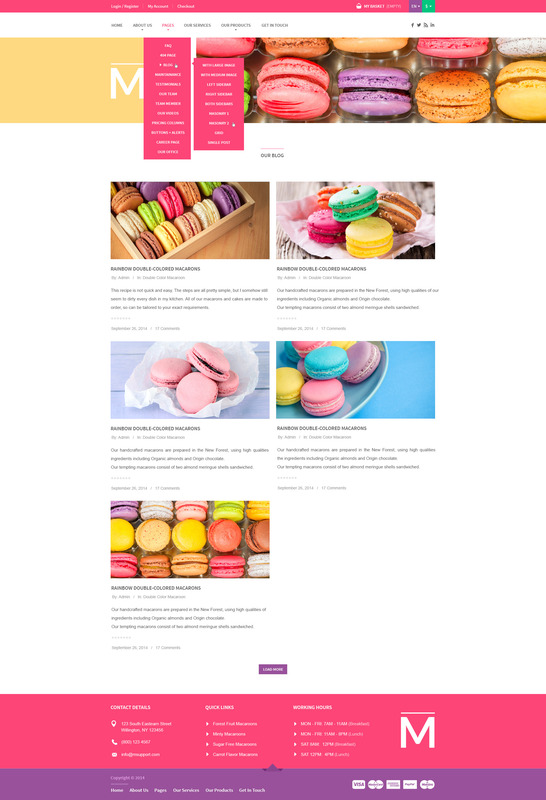 Whatever your business is or if you just want to blog with a modern theme, you?ll surely appreciate the design and features of Macaroon Sweet Shop. 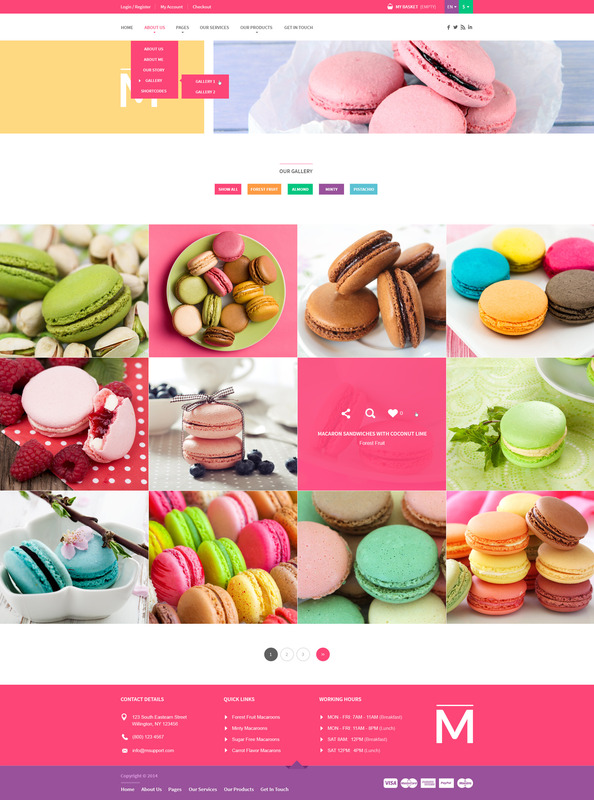 We like being fashionable that is why all themes & plugins by createIT follow the latest trends! 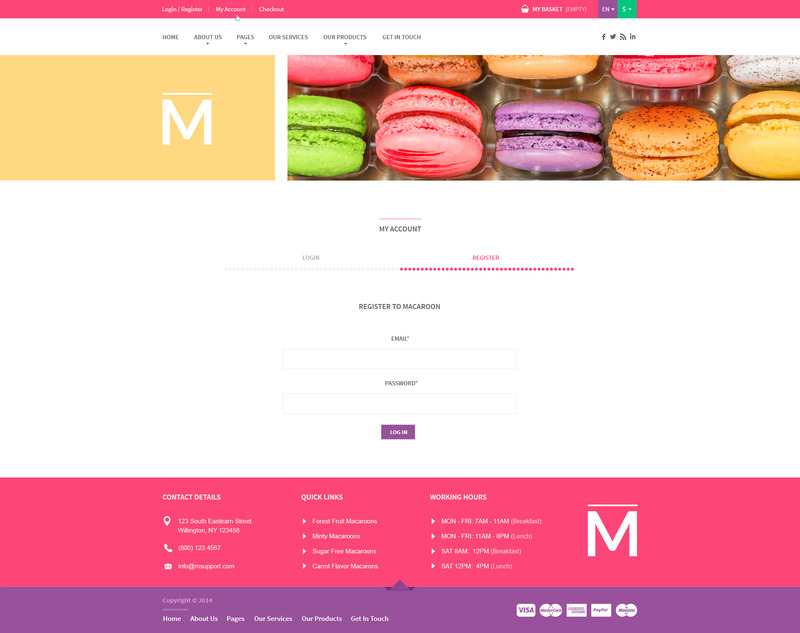 Macaroon Sweet Shop supports masonry feature to make sure your website look modern & unique. 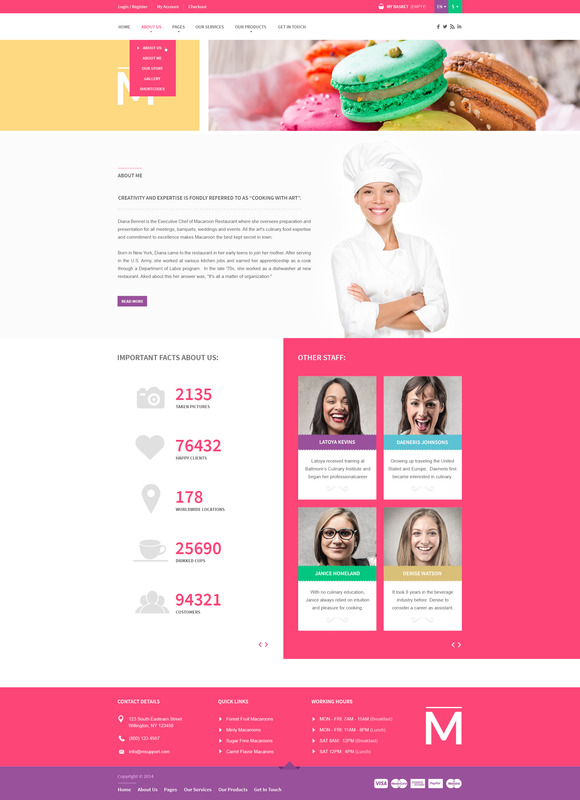 Make your website stunning with our gorgeous animated elements – tables, charts, progress bars and so many more! 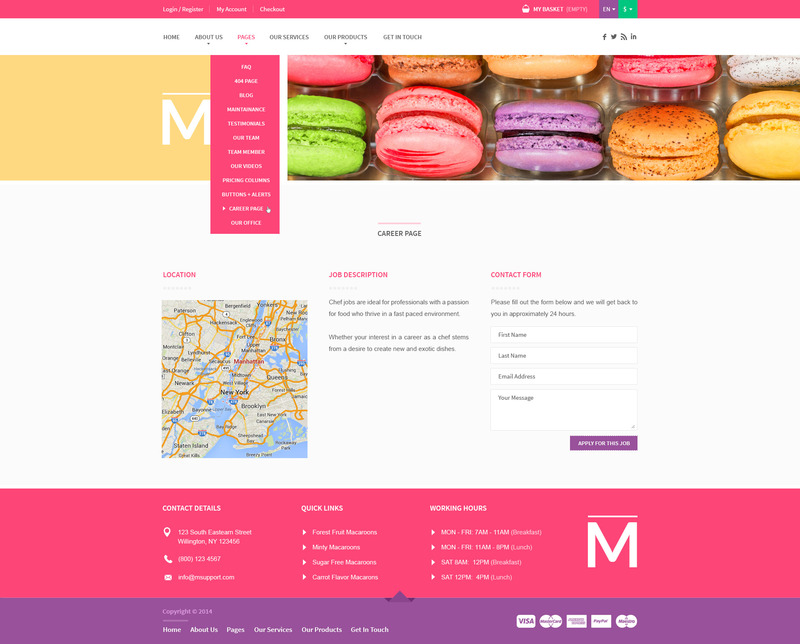 Use masonry gallery or parallax/ken burns sliders and your Macaroon Sweet Shop shop will just blow everyone away! 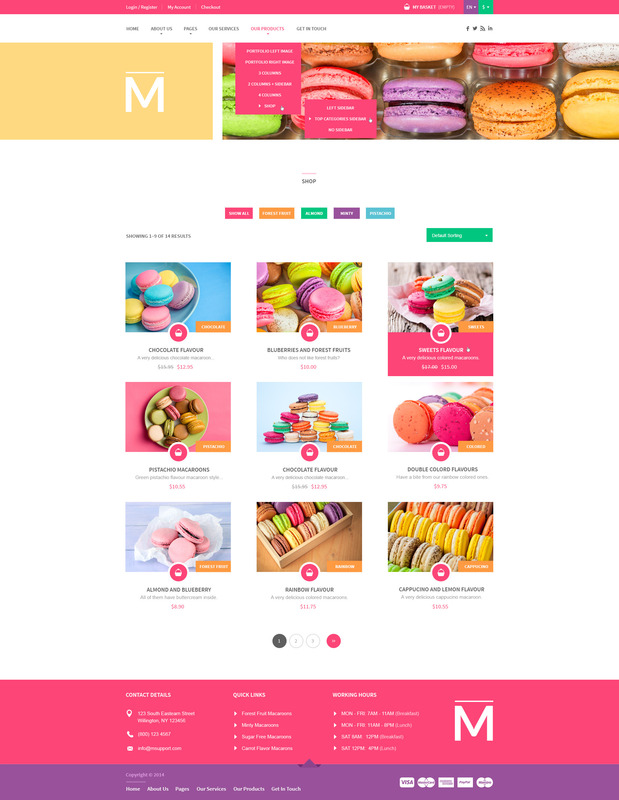 We have equipped Macaroon Sweet Shop also in Animate.CSS co you can create cool animations with (almost) any element of your website! 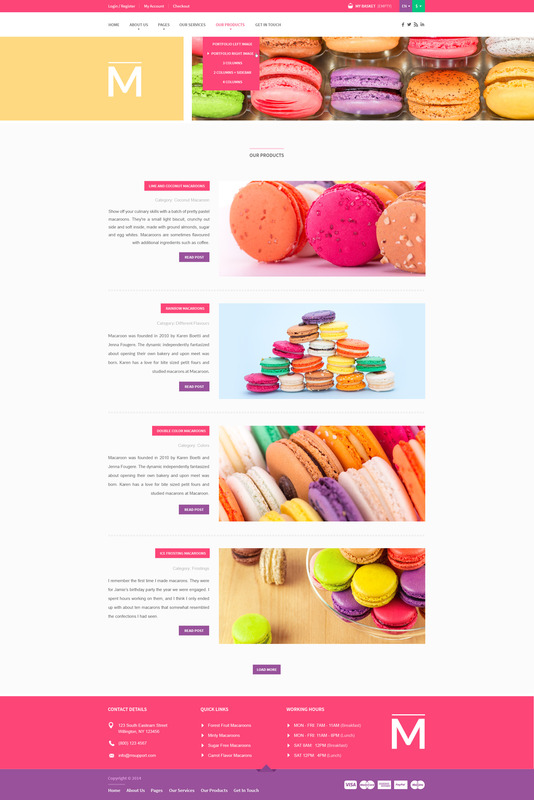 Load your portfolios smoothly with Macaroon Sweet Shop’s ajax-powered multi-media gallery. 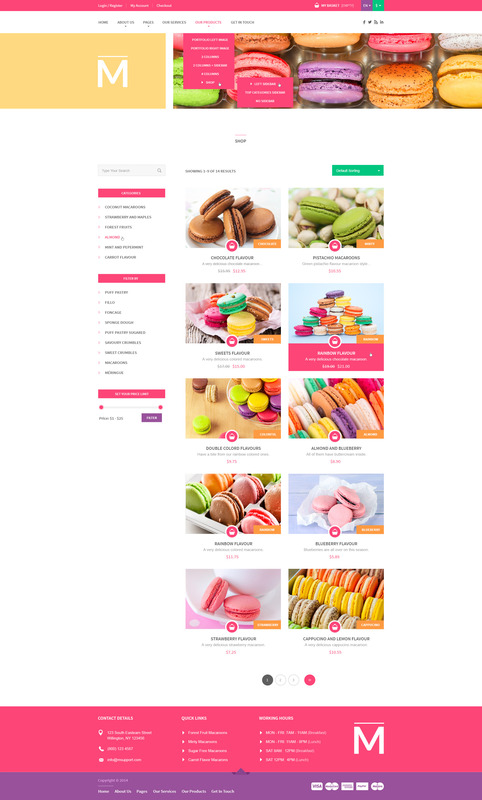 They can be sorted into different categories without re-loading the page. 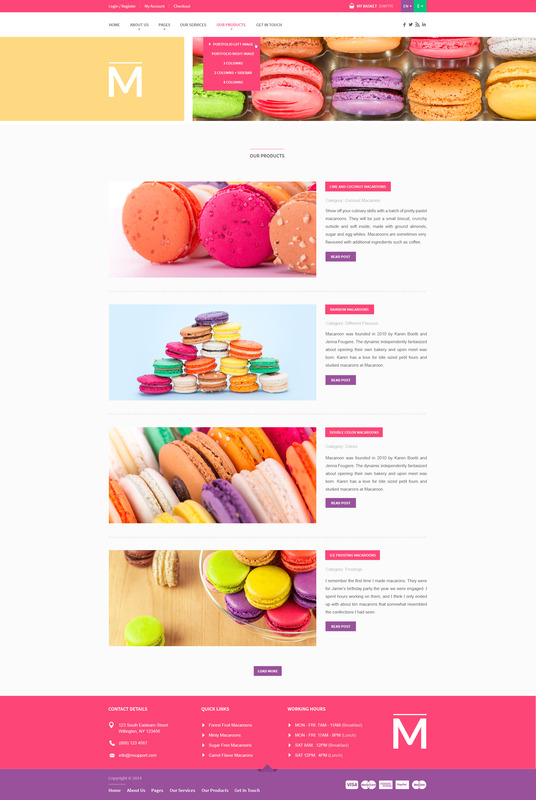 Now browsing portfolios is quicker & much more enjoyable! 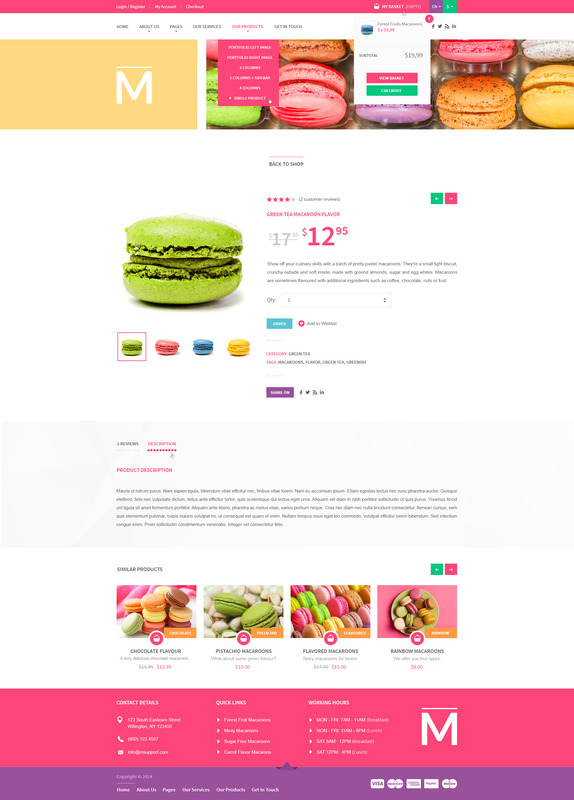 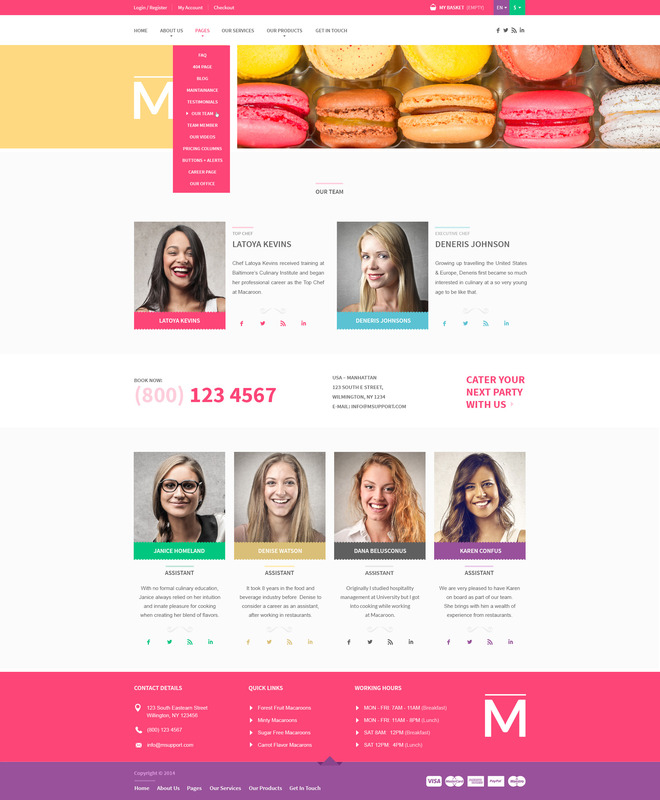 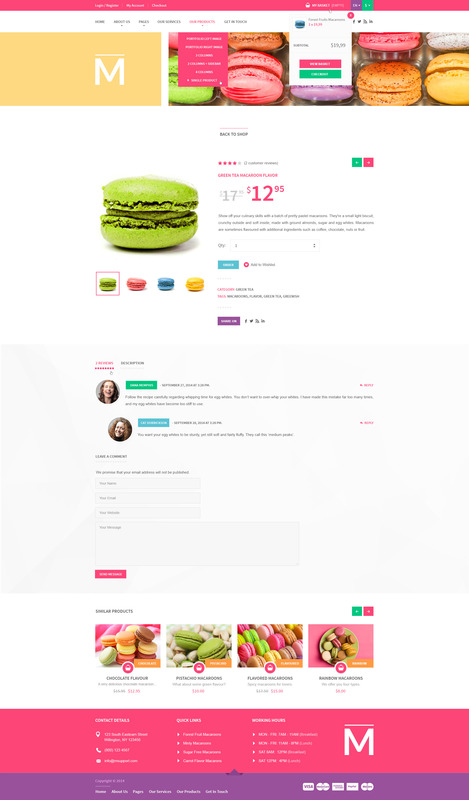 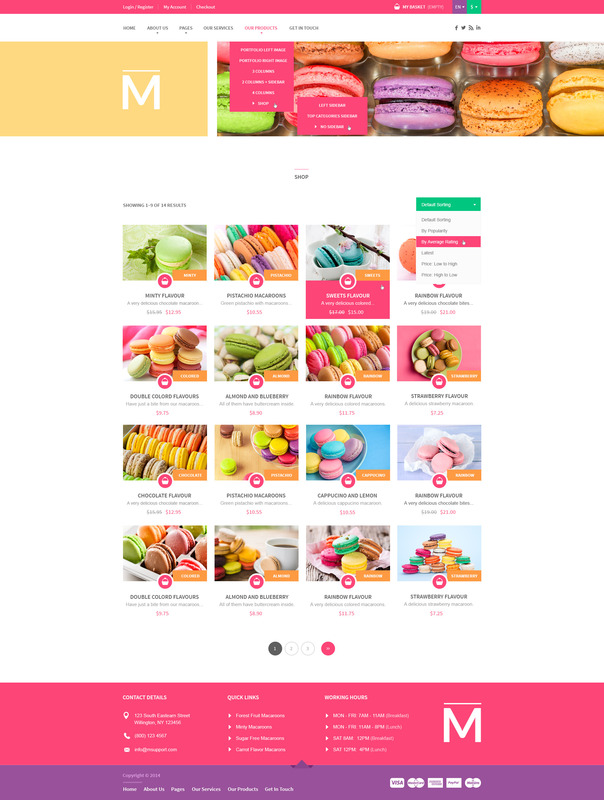 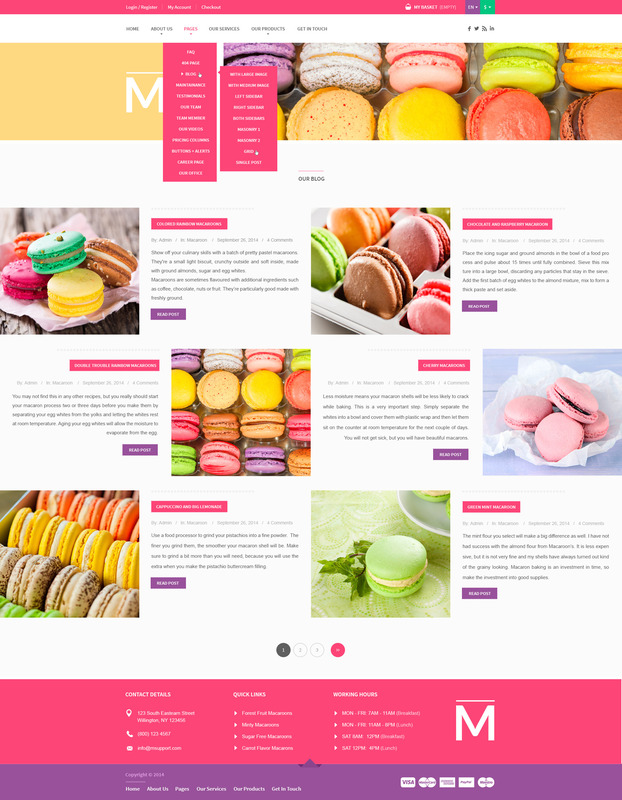 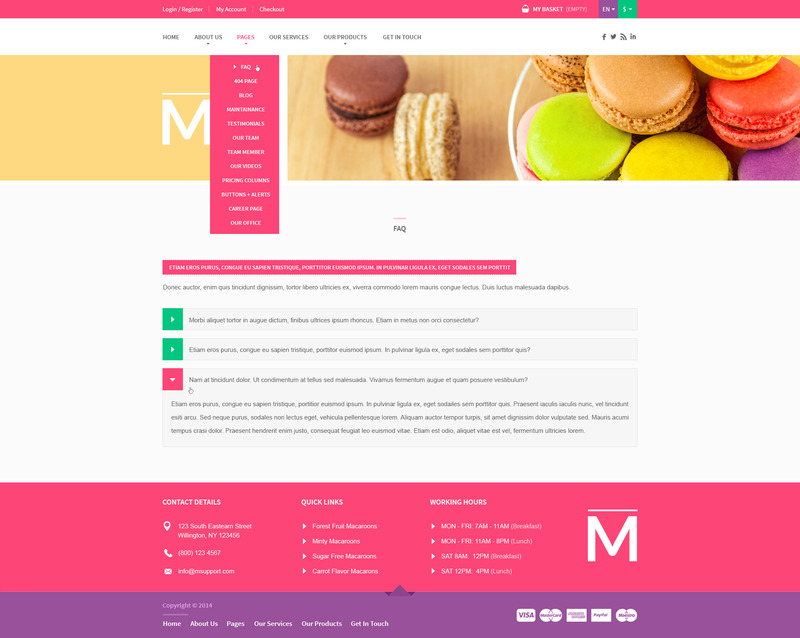 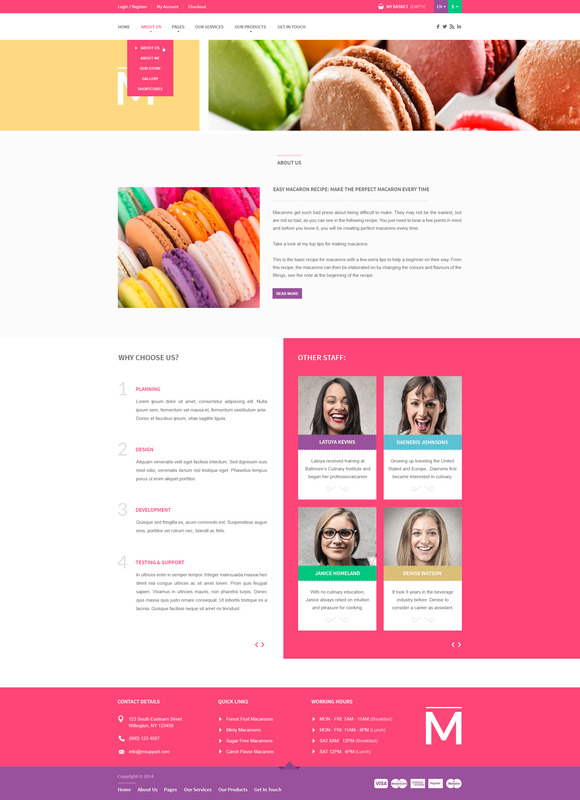 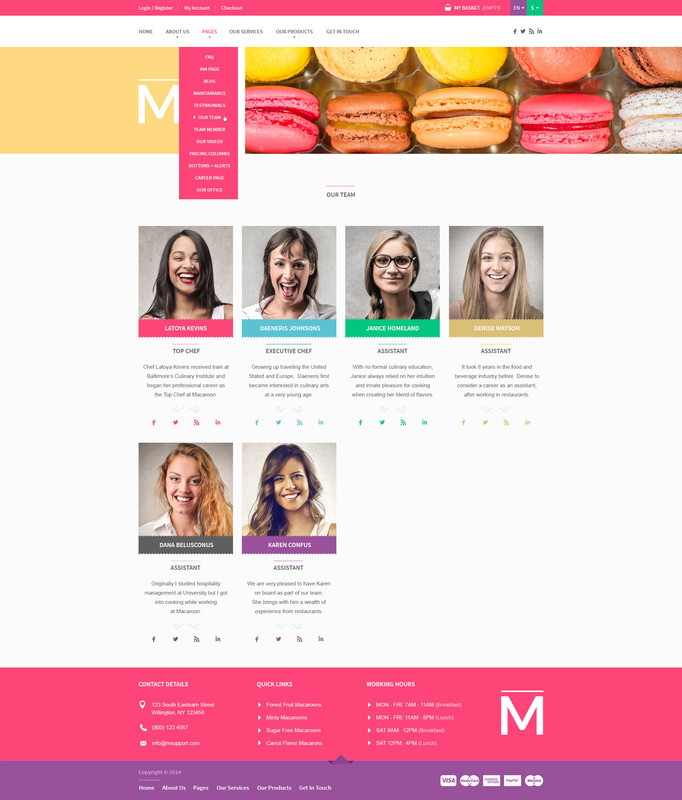 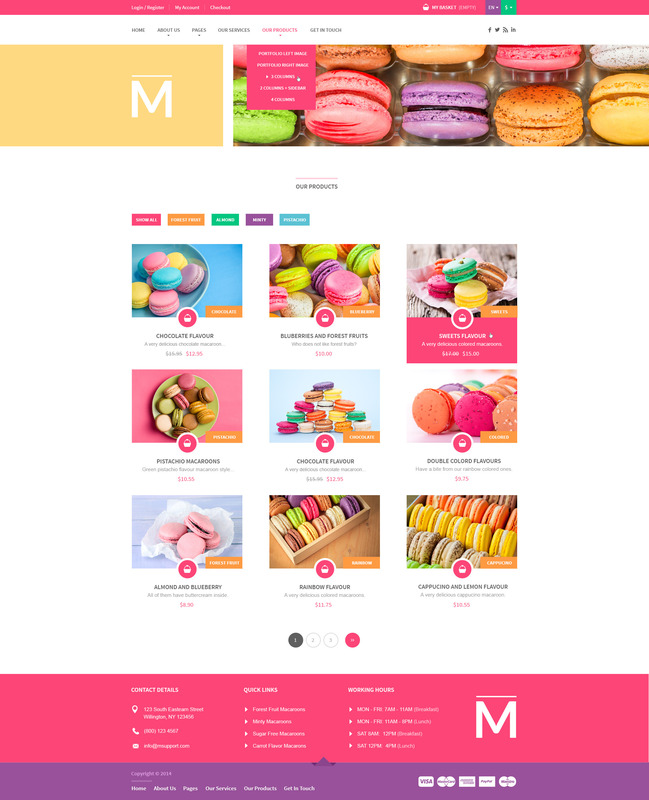 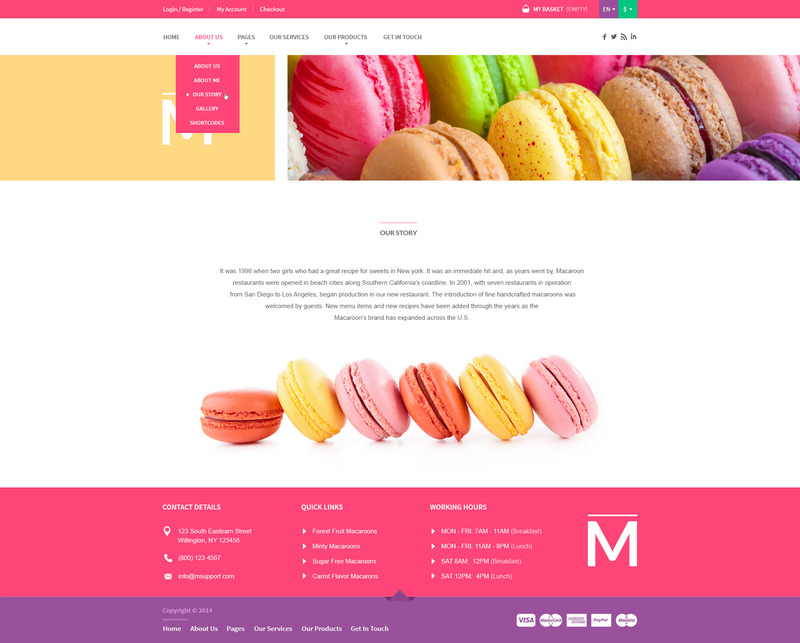 With Macaroon Sweet Shop you have a choice of boxed or full width layout. 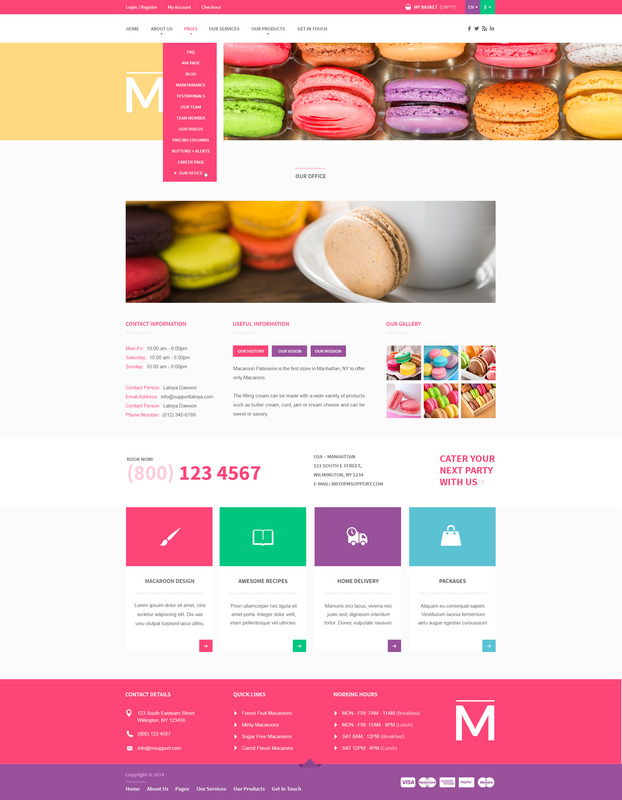 Also you can change the content width to be 978px or 1218px. 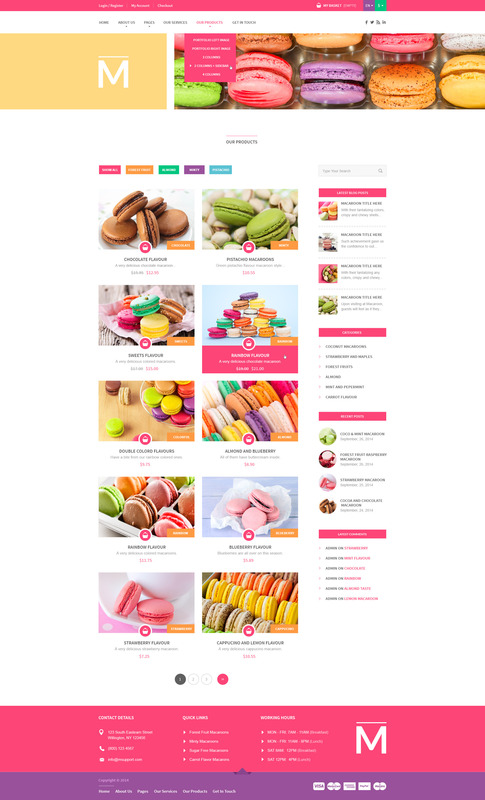 All themes & plugins by createIT are equipped with user-friendly & powerful admin panel. 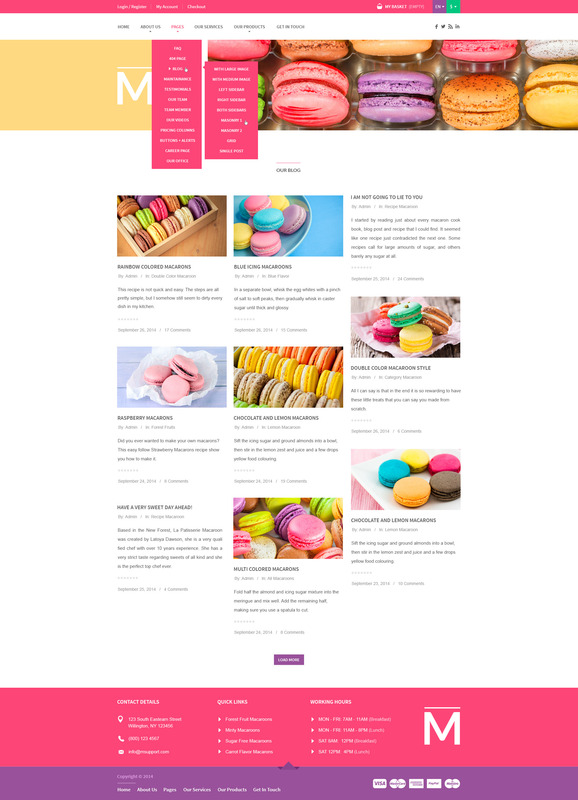 Take advantage of our robust options panels which are easy to use, maintain and update web content. 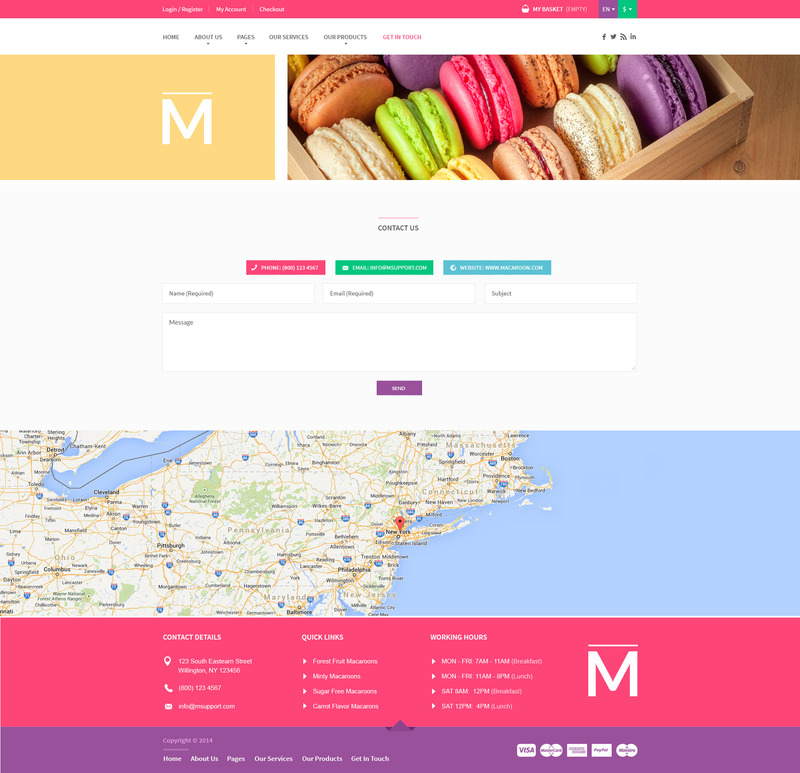 Save time & money by taking advantage of pre-made pages. 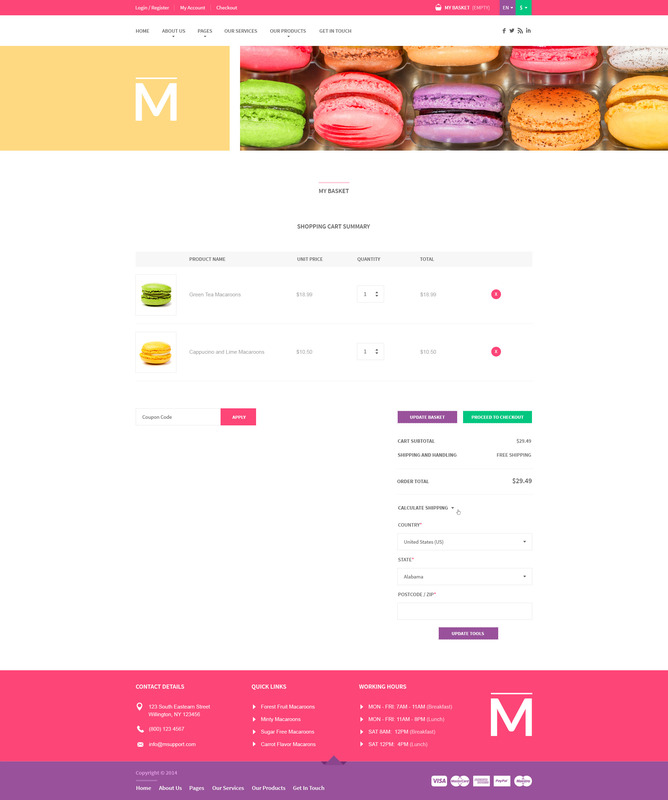 Macaroon Sweet Shop just has them all! 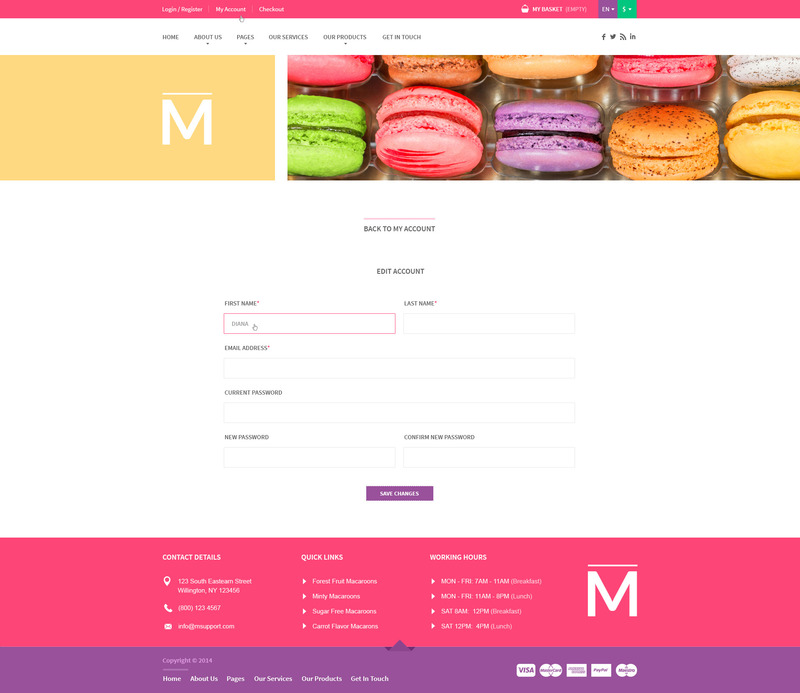 An effective contact form is absolutely vital to any online business, and Contact Form 7 is a valuable and reliable tool for building forms. We just had to offer you this one in Macaroon Sweet Shop theme! 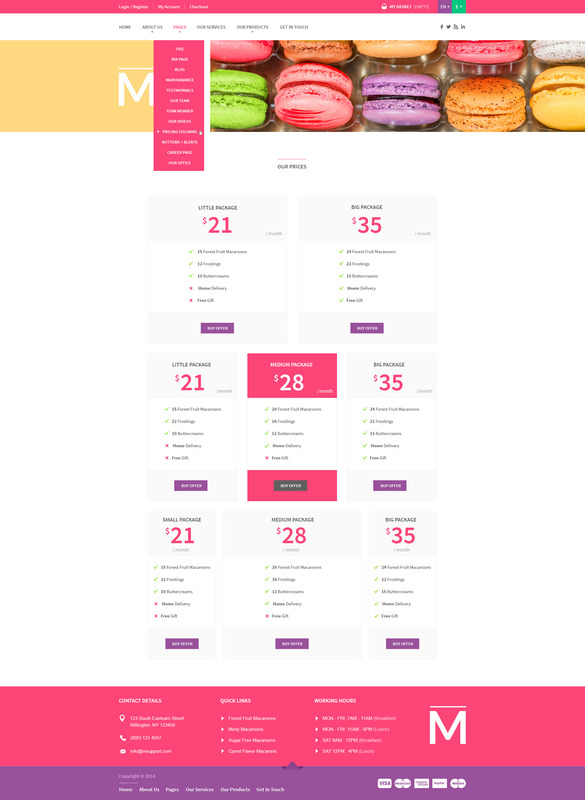 Macaroon Sweet Shop comes with over 400 icons from font awesome pack. 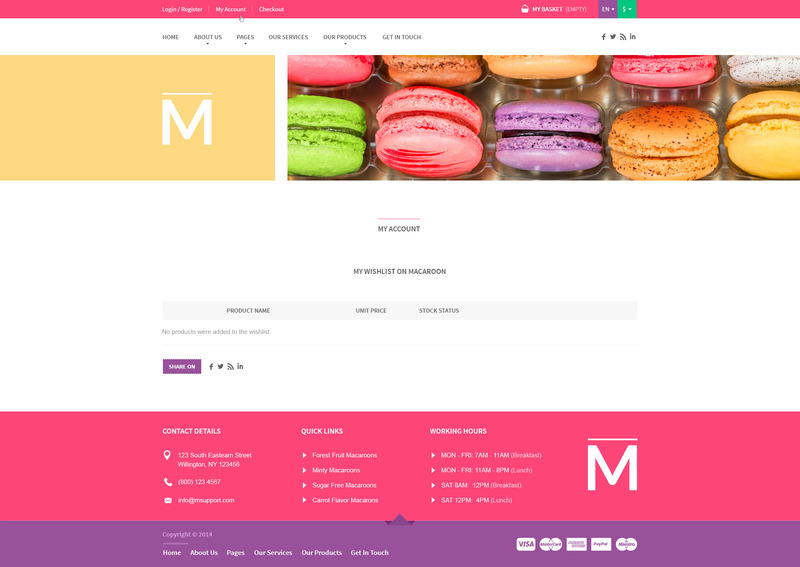 Macaroon Sweet Shop is equipped with twitter, facebook, linkedin, ? 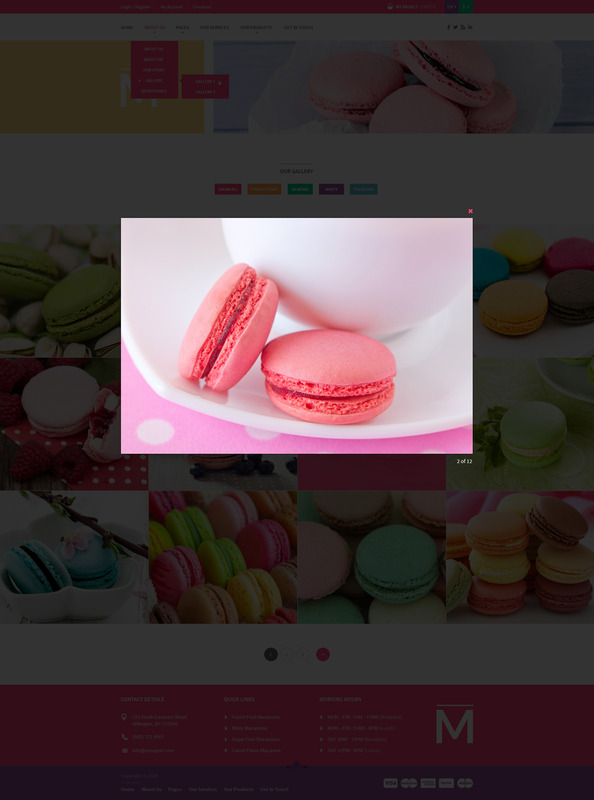 encourage social interactions using social media buttons. 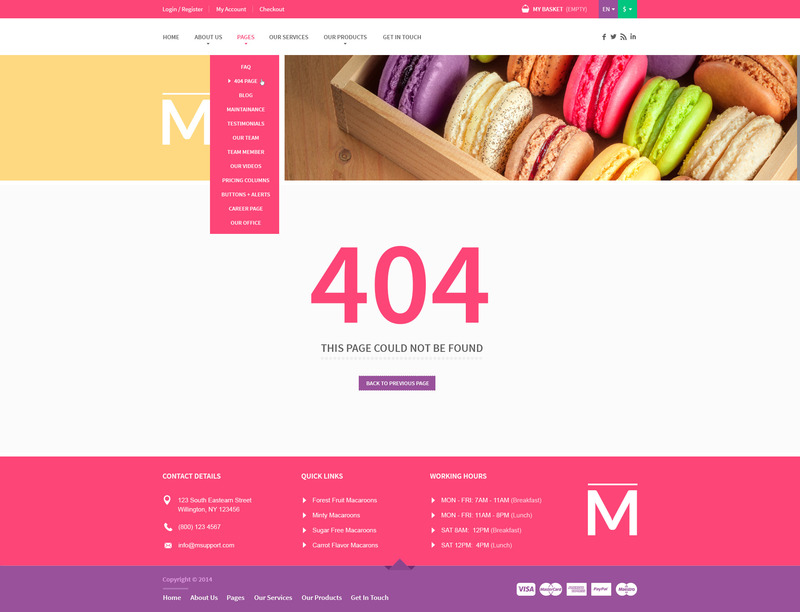 Improper or deprecated code can break layouts, corrupt data or deteriorate page speed or even worse… We take great care to create IT solutions with well-structured, modular and clean code. 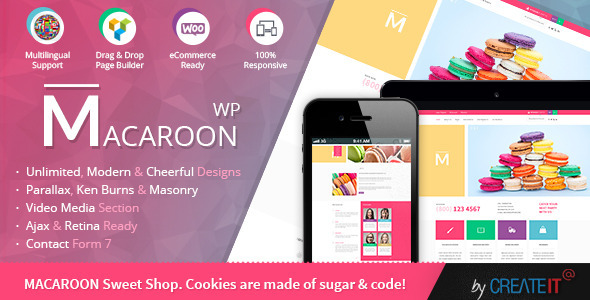 Having in mind all pro users we include in Macaroon Sweet Shop theme .less files. 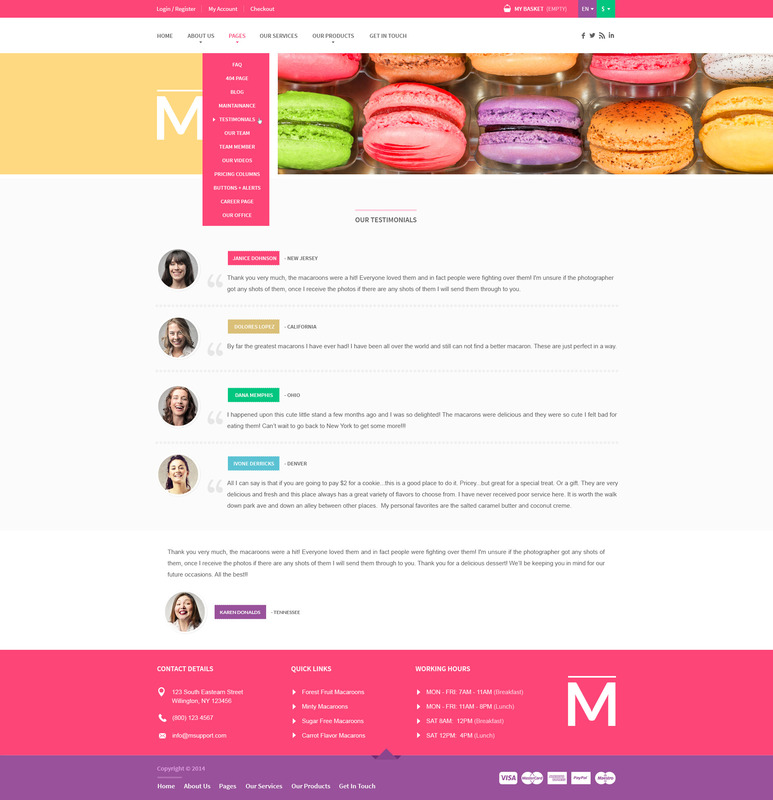 We know exactly how important your comfort at work is! 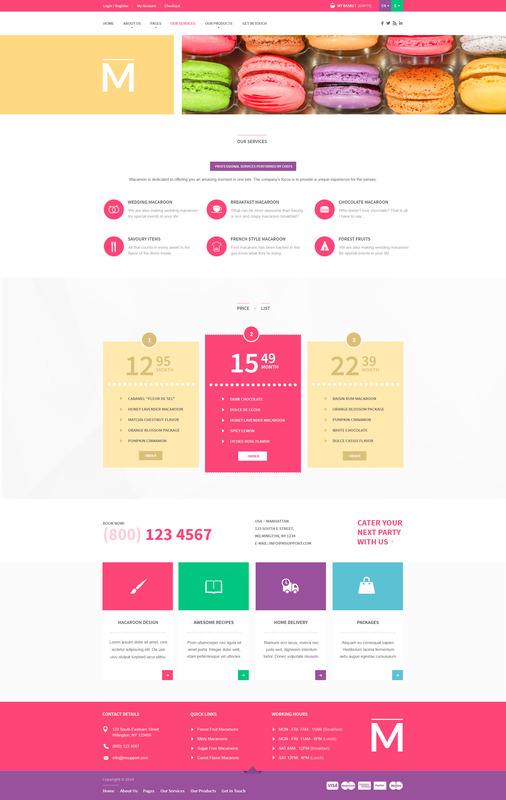 All themes & plugins by createIT are built with the best SEO practises to work great with popular SEO Wordpress plugins. 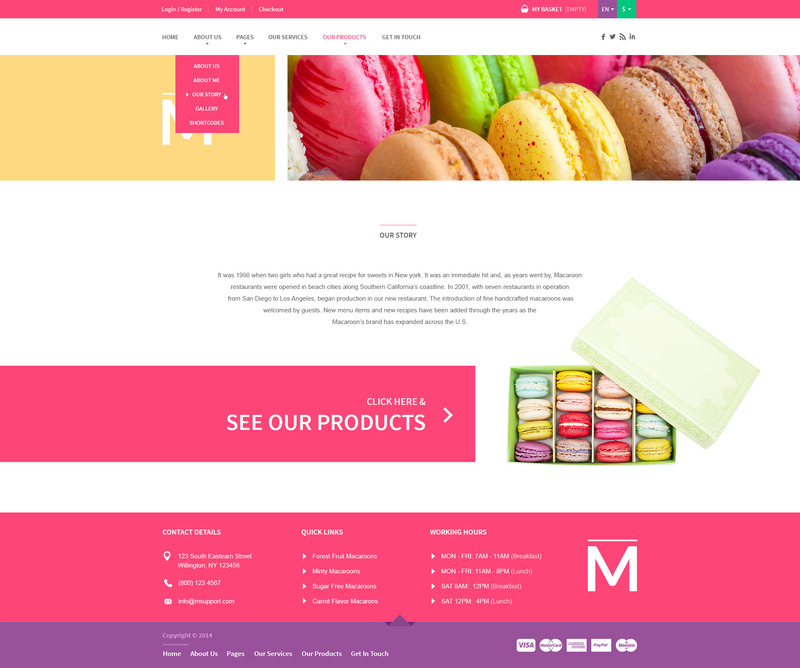 Not only do we create premium IT products, but also want to support you in every step. 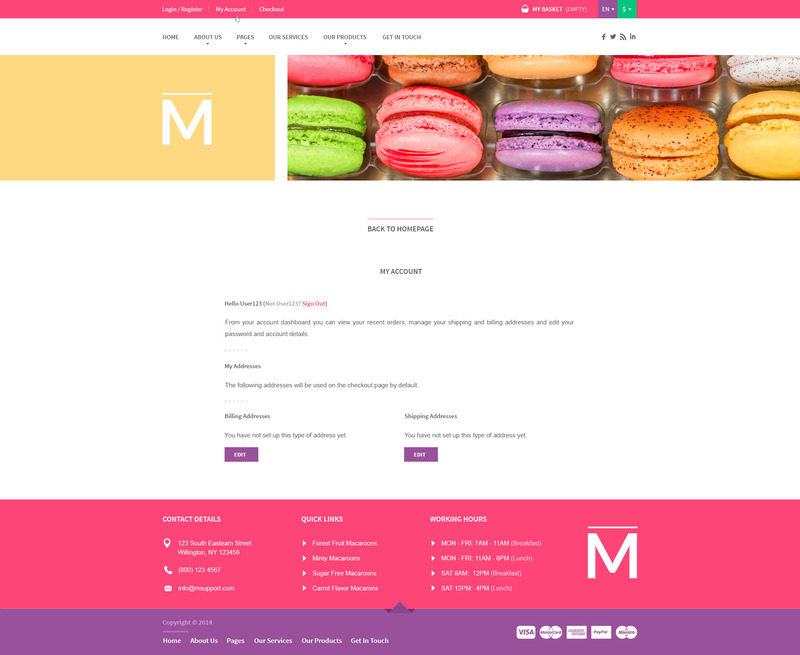 Don’t hesitate to contact us on our dedicated forum www.createit.support, before & after your purchase!